A construction site is inherently dangerous, and a place where proper safety protocol is a life saving issue. Managing a safe construction site isn’t just good for employee health, it’s good for business too. A properly managed site tends to meet budget and time constraints, with minimal losses due to injury. 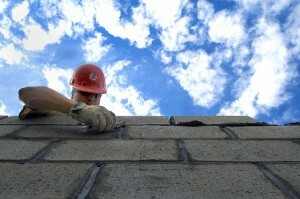 Some companies even opt to hire a construction consultant to be sure that the job is done properly. Follow these tips to ensure your site is safe. Workers who work on ladders should have some form of protection from falling. Others should be in attendance, checking the ladder for stability. For jobs that are higher up, a harness may be appropriate to prevent employees from falling and injuring themselves. Aerial lifts are another solution, and may help when materials need to be moved back and forth. When accidents do happen, it’s important that employees are able to quickly coordinate and communicate with crews to get attention as soon as possible. Maintain a safety data sheet for chemicals that are in use, and have a written plan for dealing with accidents. Construction & turnaround services perform in a business of deadlines. Sometimes, those deadlines tempt us to disregard safety in the name of doing the job quickly. In construction, you only get one chance at a mistake before problems can hurt you. Make sure you do it right the first time, taking your time to observe proper safety protocol before you do the dangerous work. — Lyle Charles is a construction consultant and expert witness. For help litigating your construction dispute, contact Lyle Charles Consulting.